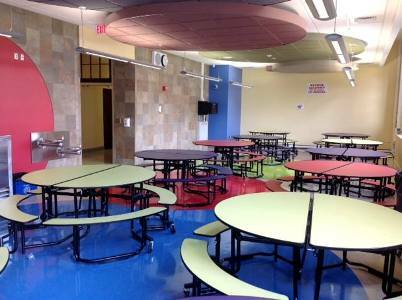 The Buffalo Public Schools reconstruction and renovation program was intended to provide state of the art learning environments, upgrade the school infrastructure and strengthen surrounding neighborhoods. As the acting program manager, LPCiminelli coordinated a total of five phases to commence in 2004 and span 10 years. On average, the district schools are 70 years of age and most were in need of significant modernization. 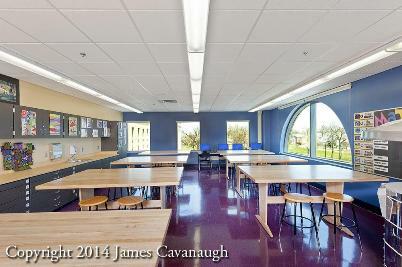 In total, 48 of the district’s 70 school buildings were slated to receive improvements. In addition to both interior and exterior renovations, LPCiminelli also completed district wide technology and energy upgrades. When it came to furniture, our successful completion of Phase III was effective in solidifying the strong partnership that ensured success in the final completions of Phase IV in 2012 and Phase V in 2014. These extensive upgrades bring the Buffalo Public Schools into the 21st century and will provide the students with learning centers of excellence for years to come. Being that the district was renovating such a large number of schools across an extended timeframe, it was very important that equity be maintained between schools. 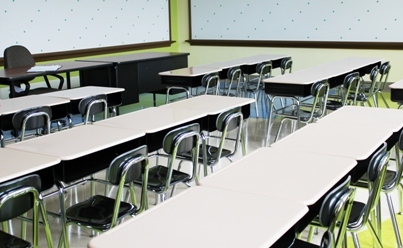 Since different local A&D firms were awarded the responsibility of designing and specifying for each school’s furniture requirements, consistency of products needed to be closely monitored. Installation deadlines were also extremely important as students were scheduled for relocation from swing schools to their permanent locations during school breaks. Each school was to be completed within a two week timeframe with minimal punch-list to be addressed around school hours once occupied. 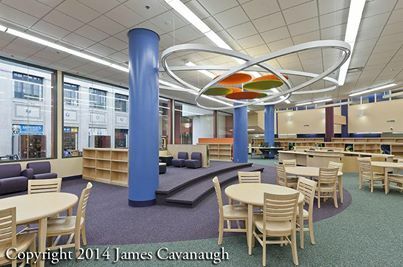 Our collaboration with the LPCiminelli project managers and A&D firm representatives was paramount in ensuring that each school not only received the right solutions for their needs, but that the basis of design set forth were maintained throughout the project scope. Our project coordinator worked closely with the team at LPCiminelli to provide all product submittals for review and approval before order entry. Individual finish selection meetings were held for each school, bringing together key individuals to review products and finishes. Although our design team did not lead the specification process they worked closely with the A&D firms to address issues and provide information on specified products. Second in our success was the management of the project from time of award through final installation follow-up. Order entry and shipment tracking was closely monitored by our team, resulting in successful coordination of on time site deliveries. To ensure a timely project closeout at each site, punch-list walk through was completed in conjunction with the LPCiminelli team and updates were communicated frequently.